Amaq Agency the only news agency that operates in Islamic State (IS) territories has launched few days ago its website in English here and on Twitter hashtag #AmaqAgnecy. It provide breaking news, videos, infographics and detailed news reports. Islamic State bans foreign media from its territories for fear of them being spies for the US coalition who would provide coordinates of civilian and military targets to US lead collation for bombing operations. A fear that is not far from reality in many cases. 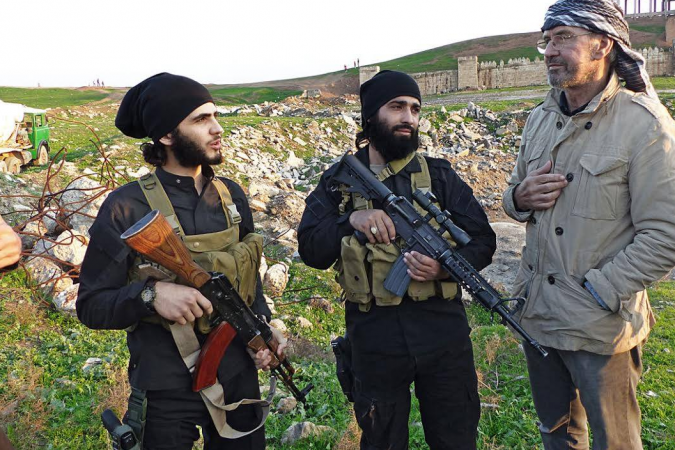 However IS did allow some foreign journalist to entry to its land such as Vice News with its video documentary the Islamic State -filmed before territorial expansion in Iraq and the announcement of the Khilafah- and German journalist Jürgen Todenhöfer. Amaq seems permitted by IS to cover news in the IS land in Iraq Syria, Egypt, Libya Afghanistan, Yemen and else where where IS has presence. Amaq was operating in Arabic only before the launch of the English service of the agency, it provided accurate and objective news. For example they use the term Islamic State fighters not Islamic State mujahideen. It gained credibility because whenever it publishes text news about an operation or an attack it backs it up later with a video evidence. For example the cooked up news of the take over by US backed Syrian opposition of Tanif border crossing between Iraq and Syria reported by the Arabic media, has been debunked by Amaqa with a video of Islamic State fighters in that crossing speaking that they are still in control and had repelled the attack. Facebook, Twitter, Youtube and Telegram censors Amaq Agency, Google’s Youtube delete its videos instantly. Twitter suspends its official account and those who tweet its news and the same for telegram and facebook. However IS supporters account keep coming back after suspension.